Allows new General Ledger accounts to be copied to other companies when accounts are added or changed in G/L Account Maintenance. Gives the General Ledger user the ability to print and update the Daily Transaction Register for multiple companies at once. This enhancement has been created for firms that run more than one company on their Sage 100 system, and who require combined and separate financial reporting, this enhancement will automate that process using the standard or custom financials. This is a “real time” enhancement that allows the G/L user to edit posted General Ledger transactions. The Account Number, Posted Date, Posting Remark and Posting Amount can be changed for any transaction. 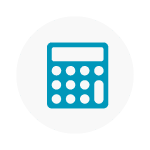 Adds the ability to print the G/L Detail Report, G/L Trial Balance and G/L Financial Reports for multiple companies, using the same sort and selection criteria. Allows a managing company to process G/L transactions for an unlimited number of “subsidiary” companies. Standard Sage 100 only allows upper-case bank codes, which means that you only have 36 bank codes available (A-Z, 0-9). This enhancement changes the Bank Code length to 3 characters, except for Payroll. Payroll will only support the original one character code (A-Z, 0-9). Note: Lower-case Bank Codes will no longer be supported. Adds the ability to control access to certain G/L Accounts by allowing you to list which Roles are associated with each General Ledger Sub Account.. Adds the ability to print the General Ledger Detail Report for multiple companies using the same sort method. Increases the masks for dollar amounts to 11 places to the left of the decimal point in several data entry screens and data files. Adds the ability to specify a Secondary Company Code for G/L Detail Posting. Allows you to set up and maintain Allocation Schedules. Provides an amortization utility which uses a daily rate for the purpose of recognizing revenue on service contracts (Sales Order Invoices). Allows you to associate Bank Codes with specific General Ledger Account Numbers by Source Journal. Modifies reconciliation to consolidate like records across multiple company codes into a single entry in the company code in which the Extended Solution is enabled. Checks will always be consolidated. Allows you to set up security by User Code for up to ten specified Bank Codes.